Rush Creek Growers' mission is to grow a wide variety of exceptional plants for the wholesale trade in the upper Midwest. Rush Creek uses the Clarity Console website content management tools to update their plant offering and availability, authorized retail locations, home page text, About Us and more. The tools the use create the information that is displayed in the Where to buy and Plant Search site functions. 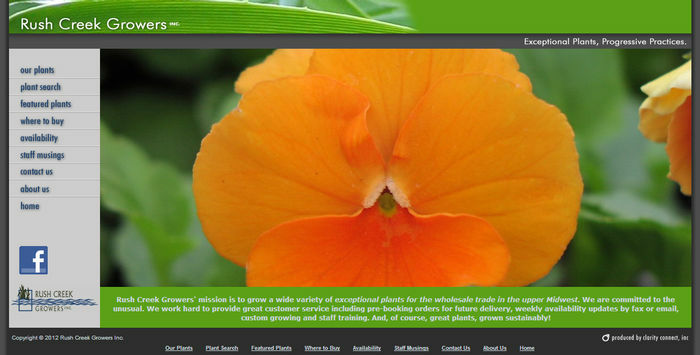 Spend some time on this site as they have some amazing plants and photography.